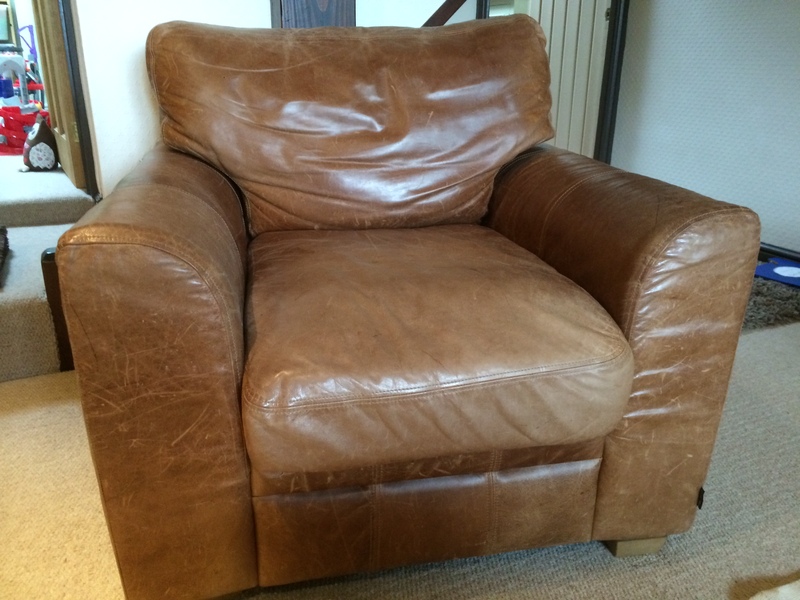 All leather furniture needs a regular cleaning and maintenance programme to keep it clean, supple and protected. Protector applied regularly gives an invisible barrier against stains such as body oils, food and dye from dark clothing or jeans from penetrating. Only leather specific products should be used on your leather furniture, there is a general urban myth that its ok to use baby wipes and furniture polish on leather furniture – this is definitely NOT true and can seriously damage your leather. Is your leather absorbent, if a drop of water were to fall on it, would it soak in? If you were to lightly scratched your leather with your nail would it leave a mark? If the answer to the above questions is “yes” then your leather type is likely to be aniline. If the answer is “no” then your leather type is likely to be pigmented. Aniline leather is coloured using dyes, whereas pigmented leather is created using pigments which are painted onto the surface of the leather. Aniline leather will be a lot more susceptible to oil and grease penetration because the leather is porous, therefore it is vital that protector is regularly applied to your furniture to reduce the porous nature of the leather and keep it moisturised and supple. This aniline leather chair had become shiny, dry and scratched. Using the best products available in the UK Bonne Fresh Clean bought the chair back to life. By professionally cleaning and protecting the leather we restored its natural beauty, nourished the leather and gave it an invisible application of protector. 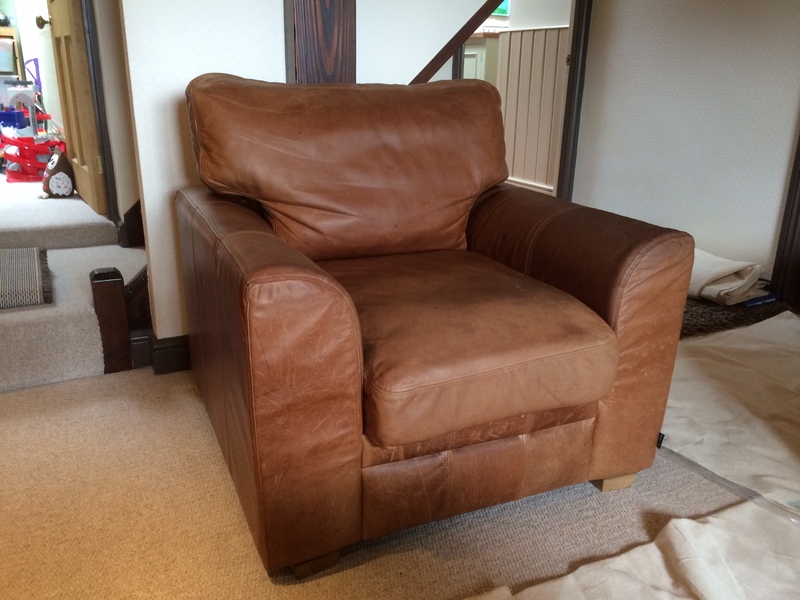 Bonne Fresh Clean are professionally trained leather specialists, we are happy to help if you need help identifying the type of leather furniture that you have or have a particular problem or issue with your leather furniture. We clean all types of leather furniture. Call us for first class leather cleaning, we cover all areas of Bristol, Bath, South Gloucestershire and all surrounding areas. We also repair scratches, rips and scuffs so call us for a free no obligation appraisal of your leather furniture.